Confucius (551–479 BCE) was a Chinese teacher, editor, politician, and philosopher of the Spring and Autumn Period of Chinese history. The philosophy of Confucius emphasized personal and governmental morality, correctness of social relationships, justice and sincerity. His followers competed successfully with many other schools during the Hundred Schools of Thought era only to be suppressed in favor of the Legalists during the Qin Dynasty. 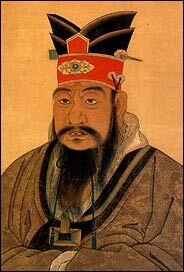 Following the victory of Han over Chu after the collapse of Qin, Confucius’s thoughts received official sanction and were further developed into a system known as Confucianism.